From new residential complexes and developments to commercial real estate to retrofitting projects, Arango Insulation has the commercial batt insulation you are looking for. 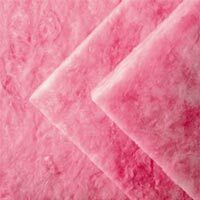 We offer top products with high R-values that allow you to provide your customers with the highest quality insulation possible, all while staying under budget. And with our fast turnaround times, you can rest assured that you will receive your order on time and to your exact specifications. Contact us today to learn more about our available commercial batt insulation and how we can assist in your project throughout the Southeast, Pennsylvania, Texas, and beyond. Your building’s future inhabitants will appreciate your attention to detail, and Arango Insulation is here to help you get the job done on time and under budget. In addition to installing insulating materials, we also serve as a commercial roofer.